V-Guard has become one of the leading manufacturers of high-quality home appliances. 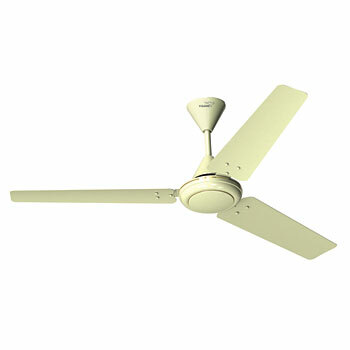 Their range of ceiling fans in particular has become extremely popular. The V-Guard Rotair CL ceiling fan is one of their most competent models. 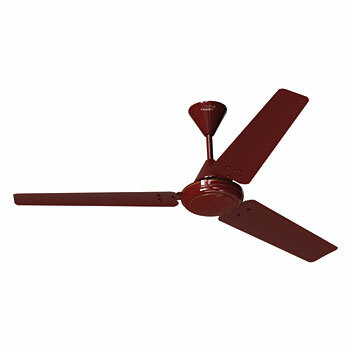 As the name suggests, this is an amazing performer and a fast ceiling fan. With a speed of 380 RPM, it gives you air delivery of 215 m³/min that is ideal for large sized rooms. This high speed ceiling fan by V-Guard is elegantly designed in Cherry Brown, Ivory and White and blends perfectly with all kinds of interior decor schemes. The look is subtle yet stylish with an understated elegance. But don't let the minimalistic look trick you. Featuring a high speed fan with golden line on the motor, it offers a powerful performance by delivering superior cooling output. So, get respite from the heat of this summer with this high quality ceiling fan from V-Guard and fan off all your worries.